It’s never a good time to learn that your gums are receding. Receding gums leave your tooth roots bare and increase the risk of decay. With advanced gum recession, you can experience discomfort, sensitivity and even tooth loss. The first question people ask after a diagnosis is typically “Is gum recession permanent?” Fortunately, with modern dentistry, there are techniques that rebuild your gum tissue and get gum recession under control. Don’t panic, experienced dentists are there to help. Once your dentist makes the diagnosis that your gum are receding, it’s time to determine the cause. One common reason for receding gums is the position of your teeth. Teeth are ideally set in the center of the jawbone but things don’t always work out this way. Crooked teeth may have exposed roots and the gum tissue may be unable to form around the tooth. Fortunately, there are options like Invisalign that can realign your teeth to the correct positions, allowing the gums to form properly around the tooth. Gum recession can come as a surprise to those who brush regularly. Brushing and flossing make for a healthy smile, but only if done correctly. Brushing should be performed gently, at least twice a day. 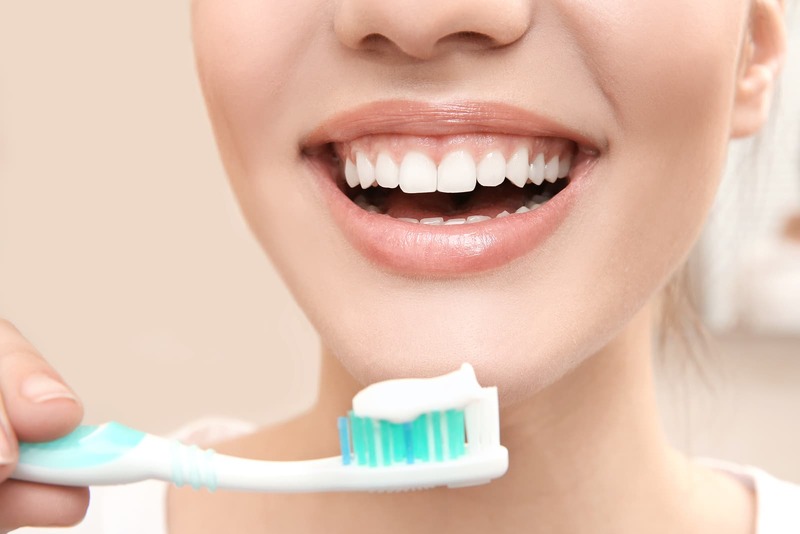 Make sure to softly brush in a downward motion when brushing over your gum tissue to help prevent it from rising upward. Brushing too hard or using a anything but a soft-bristle toothbrush can inflame, deteriorate or even tear the gums. Many dental patients with receding gums have the habit of grinding their teeth during sleep. Teeth grinding puts pressure on your teeth which can lead to gum recession. Is gum recession permanent for teeth grinders? Nope! Your dentist can have you fitted for a mouth guard that protects you from grinding your teeth at night. This helps keep your gums healthy and your teeth in the correct position. Gum disease is yet another cause of gum recession. It damages the gum tissue, causing it to pull away from the teeth. 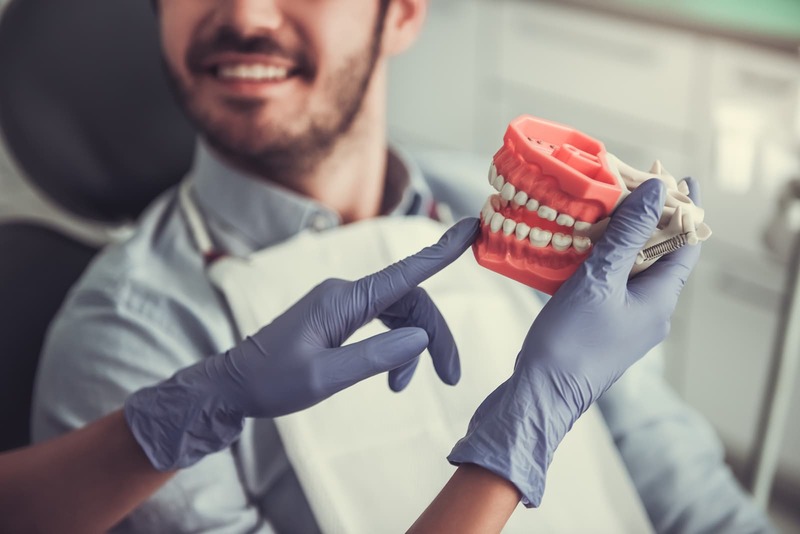 Some signs of gum disease include red, swollen or bleeding gums, gum recession, spaces forming between teeth, loose teeth, as well as the formation of pus around the teeth and gums. Gum disease can typically be prevented through proper oral hygiene as well as regular visits to the dentist. Another cause of gum recession may be a genetic predisposition to overly thick or thin gum tissue. Because we can’t do anything about our genes, many people in this situation ask the question “Is gum recession permanent?”. Fortunately, the answer is still no. While a family history of gum recession may make you more likely experience gum erosion, tears or recession, treatment options are still available. Dentists use a technique called pinhole gum rejuvenation to build and repair gums without incisions or stitches. The chances of gum recession can also be minimized through proper oral hygiene. One of the best treatments for receding gums is Pinhole Gum Rejuvenation. For a long time, the only treatment for gum recession was the invasive and often painful surgery of gum grafting. 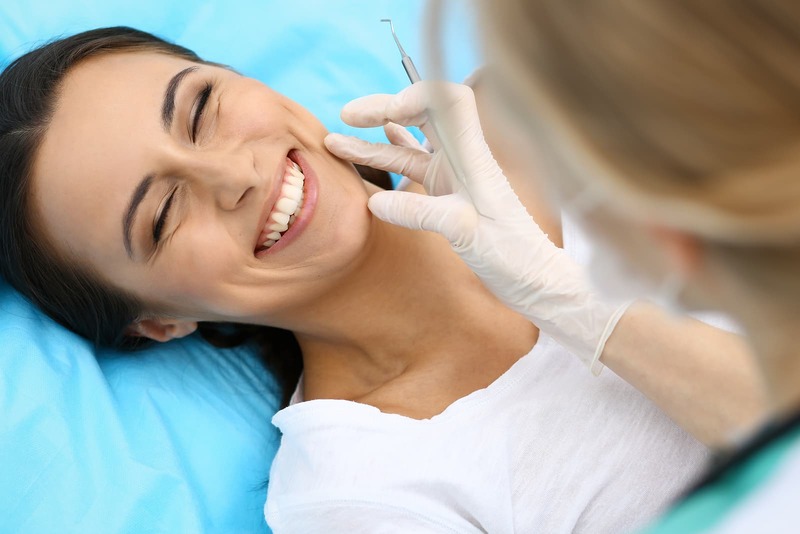 Pinhole gum rejuvenation is a simpler, faster and minimally invasive procedure. It allows dentists to rebuild your gums without incisions or stitches. The procedure also causes less discomfort and swelling. “Is gum recession permanent?” No – but the treatment may be. If the cause of the gum recession is corrected, the results can last for years. Do you notice receding gums? Holistic Dental Center is inviting everyone to reap the benefits pinhole gum rejuvenation. Dr. Vladimir Gashinsky has been in private practice at his Millburn, NJ office for over a decade, providing exceptional holistic and biological dentistry and surgical expertise in a friendly, home-like environment. Contact us today to schedule an appointment.